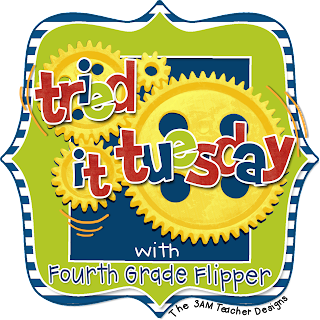 I am linking up with my bud, Holly, from "Fourth Grade Flipper"
for her Tried It Tuesday linky! 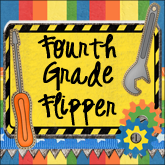 Last week I began the exciting process of throwing in review for the upcoming Standardized test. We were reviewing the parts of speech and I thought I would change it up a little bit to give the students some real-world practice identifying nouns, verbs, and adjectives. So I divided my kiddos into groups, armed them with scissors and magazines, and set them off to hunt and snip!